A bachelorette or bachelor pad is the unique apartment where you can do whatever you want and that you can adorn how you delight. As you’re the simply one that has to like it and the one that needs to like living in there. 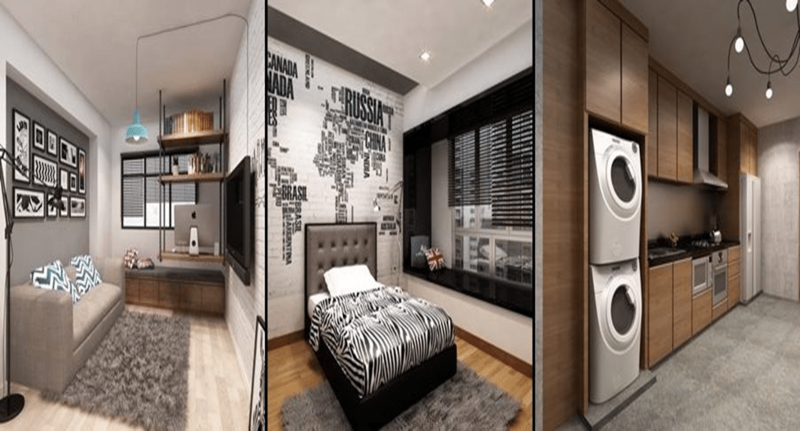 The beautiful bachelorette apartment with amazing additional glass bedroom divider with beautiful small open kitchen makes this simple yet trendy apartment charming. The lovely simple orange settee style sofa with small coffee table makes this small bachelor pad perfectly stunning. 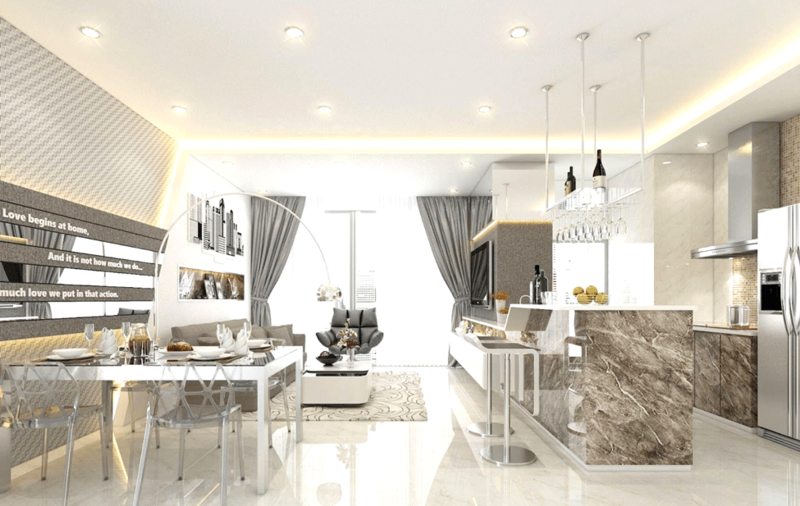 The small bachelorette apartment can also look luxurious by incorporating marble flooring and brilliant lighting which makes this apartment perfectly bright. The great flow furniture makes this room uncluttered with perfect décor. 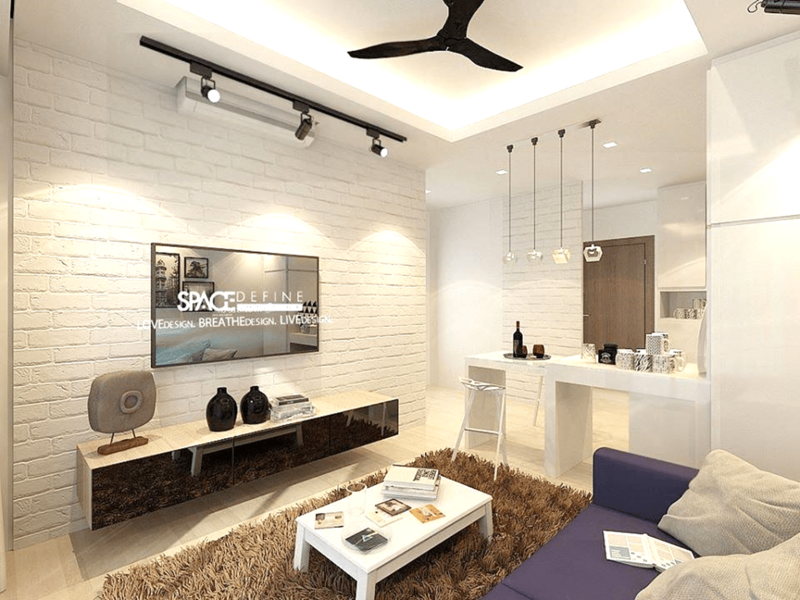 The simple room with a brick wall that gives a wow factor to the space with amazing white décor. The beautiful colored couch adds a colorful feature to this all white-washed room designed by Space Define. This modern apartment with a perfect blend of wood textured TV-Unit wall and exposed bricks small cabinets with storage capacity makes this room flawless. 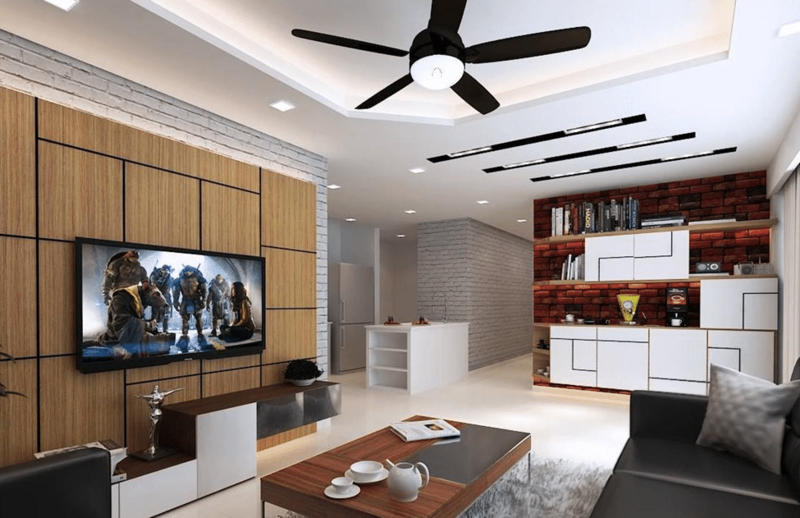 The simple yet trendy décor with charming lighting and flooring truly makes this bachelor pad spectacular. The amazing black and white bachelorette apartment with a small living room and a corner for study area really makes this living room unique a stylish. 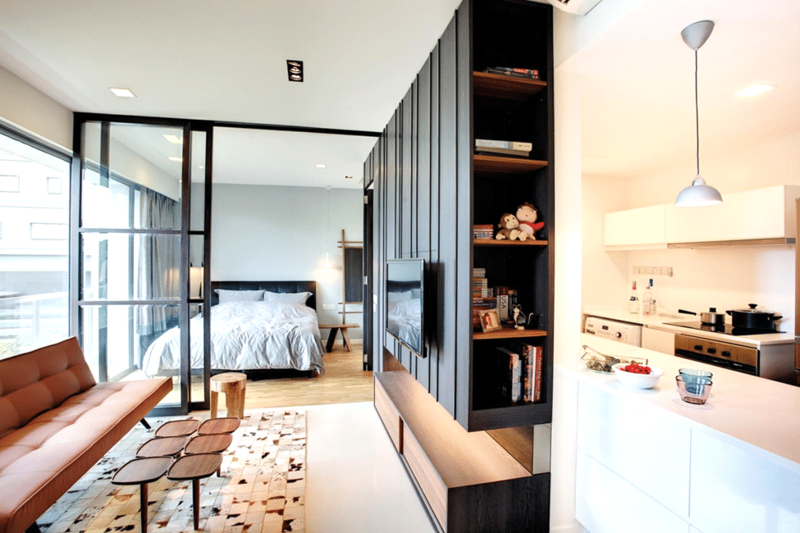 The small bedroom with single bed and charming wall give a perfect statement to this bachelorette apartment designed by AX Image Design Pte Ltd.